How about combining an Atmosphere holiday with improved English language skills for your kids? 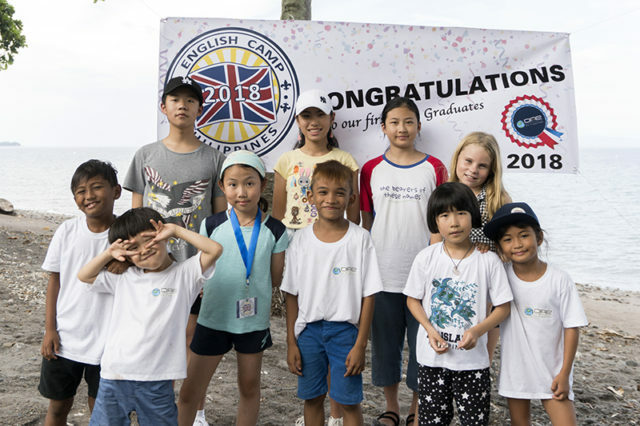 This summer we held an ESL (English as a second language) Summer Camp in ONE International School, adjacent to the resort. The children spent half their days studying and the other half doing fun activities, such as taking boats trips to Apo Island, swimming classes in the pools, yoga, visiting popular landmarks, shopping in Dumaguete etc. We look forward to another camp next year – easily combined with a stay at Atmosphere! Previous PostA lot of talent visiting Atmosphere’s underwater havenNext Post“Wanna move to the Philippines? !” – Sure!